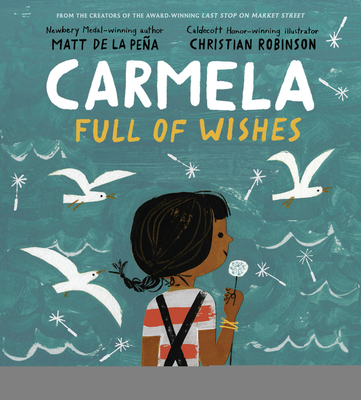 In their first collaboration since the Newbery Medal- and Caldecott Honor-winning Last Stop on Market Street, Matt de la Peña and Christian Robinson deliver a poignant and timely new picture book that's sure to be an instant classic. Matt de la Peña is the Newbery Medal-winning author of Last Stop on Market Street. He is also the author of Love; A Nation's Hope: The Story of Boxing Legend Joe Louis; and six critically acclaimed young-adult novels. Matt teaches creative writing and visits schools and colleges throughout the country. Matt lives in Brooklyn, NY. You can visit Matt at mattdelapena.com or on Twitter @mattdelapena. Christian Robinson is a 2016 Caldecott Honoree and also received a Coretta Scott King Illustrator Honor for his art in Last Stop on Market Street. His picture books include the Gaston and Friends series; Leo: A Ghost Story; School's First Day of School; The Smallest Girl in the Smallest Grade; Josephine: The Dazzling Life of Josephine Baker; and many more. You can visit Christian at theartoffun.com or on Instagram @theartoffun.